Hearts moved five points clear at the top of the Scottish Premiership after Steven Naismith's first-half goal secured a 1-0 win at Motherwell. With the Jam Tarts' boss Craig Levein watching from the stand following his recent health scare, they netted in the 28th minute when Carl McHugh played a short back pass to goalkeeper Trevor Carson. Uche Ikpeazu intervened and the ball came to Naismith, who slotted in to add to his hat-trick against St Mirren last time out. It makes it five wins from five league games this term for Hearts as they extended their lead over second-placed Celtic, who were held 0-0 at St Mirren on Friday night. Hibernian beat Kilmarnock 3-2 at Easter Road, Florian Kamberi netting a 78th-minute winner from the penalty spot. Hibs had gone 2-0 up with goals from Stevie Mallan and David Gray before the away side replied through Eamonn Brophy and Greg Stewart, all before the interval. Livingston are level on points with Celtic after they beat Hamilton 1-0 at home thanks to Steven Lawless' spectacular early strike. Steven Gerrard's Rangers, who are fourth, thrashed rock-bottom and pointless Dundee 4-0 at Ibrox. 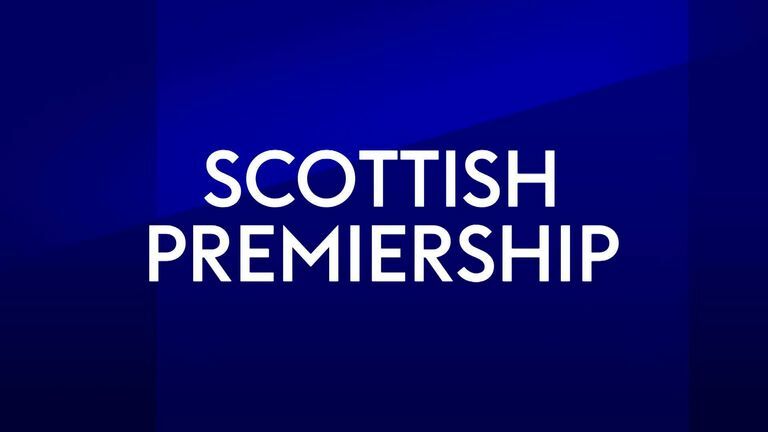 Saturday's other game saw St Johnstone and Aberdeen draw 1-1 at McDiarmid Park, where Niall McGinn's free-kick cancelled out David McMillan's opener for the hosts.